I would like to inquire about your property Bayut - 286-Ap-S-0322. Please contact me at your earliest convenience. Silicon gates 3 is a perfect place to live in because of its sophisticated, unique design & being accessible to nearby business plus leisure centers. It is primarily located in Dubai Silicon Oasis which has been considered as a Jewel of the desert. Silicon Gates is a complex of four residential buildings offering hundreds of spacious apartments ranging from Studio, 1 bedroom, 2 bedroom and three bedroom units. Each of its apartments was also elegantly designed with terraces overlooking the lovely picturesque surroundings. 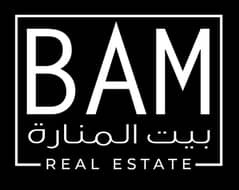 Bait Al Manara Real Estate L. L. C. has been established in 2015 with the sole aim of providing high quality property related services tour loyal customer base like major institutions, banks, property investment companies, government departments, multi-national corporations and private property owners, which we have developed over the years due to our general trading activity for the past seven years. During the past one year we have been assisting some of our customers in purchasing various properties as investors, owners and seeking holiday homes. The management is visionary and purely business oriented with a vast experience of Local market trends. Our best asset is our team, which consists of highly professional and skilled multilingual dedicated staff who, help our investors strive to make the most and aim at carving a considerable share of the huge real-estate opportunities that lies in the UAE's fast-growing market. We have streamlined the real estate process and are able to pass significant savings to our clients. We assure our clients that they will be treated with the highest level of service and professionalism they deserve and have the right to expect from us. Our experienced staff has thorough hands-on understanding of available inventory, and is frequently alerted to new properties not yet on the market or to be announced. Headquarters 9th Floor, Conrad Hotel , Sheik Zayed Road, Dubai, United Arab Emirates.